There used to be an old saying when photographing food – you NEVER shoot food on blue. I’m sure it originated in the 70’s when we had Home Economists, now called food stylists, working in test kitchens at places like Campbells and Kraft. I have no clue why this became a rule as blue is a wonderful color for so many foods. 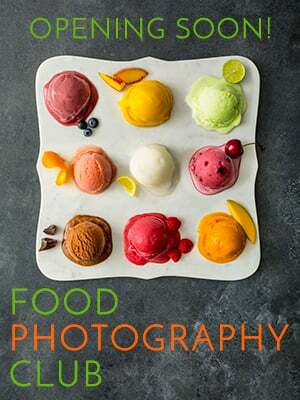 Today I’ll be talking about what are the best and worst colors for photographing food. I think the best way to think about this is to just break your food down into colors. 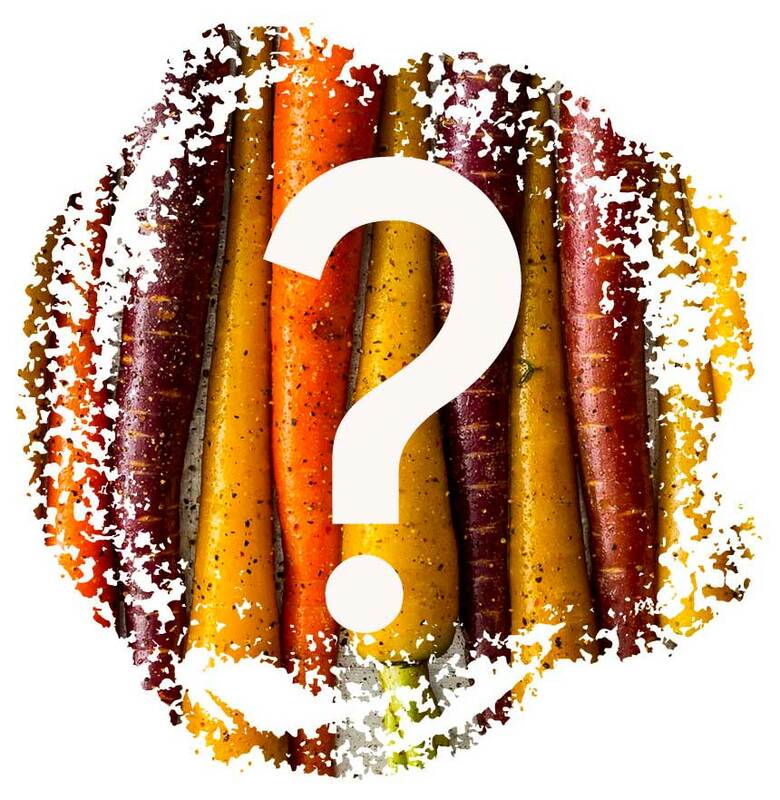 Don’t think about what the food is, just what is the most dominant color in your food. We need to look at the color wheel from art class. I’ll be talking about complementary colors and analogous colors. I can write an entire post about color, but that wouldn’t be too exciting and there’s already been enough written about it. 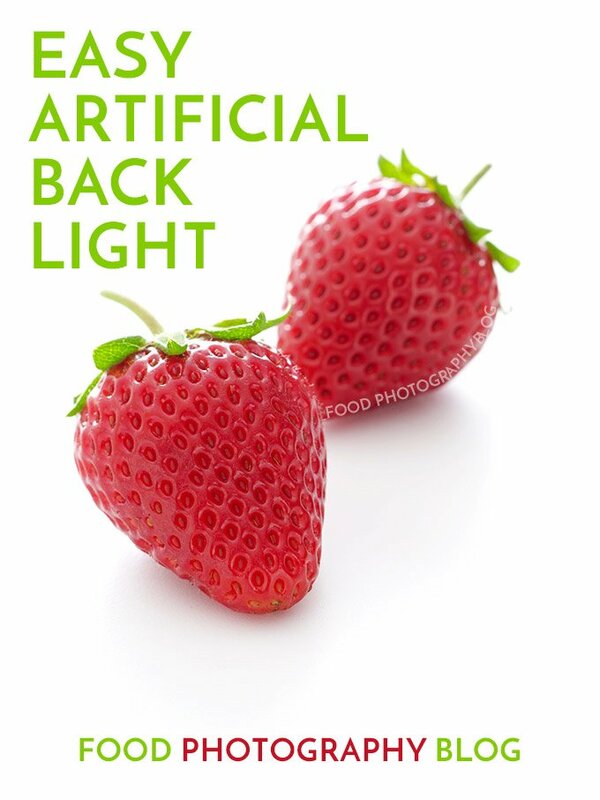 So I’m going to make this very simple and talk about these colors as we use them in food photography. 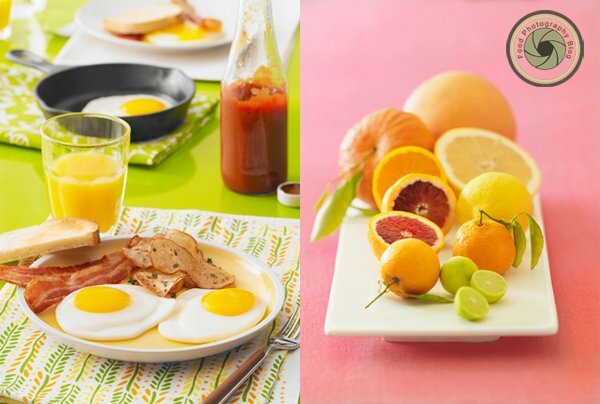 Complementary colors are colors that would contrast each other in our food photos. They are colors that oppose each other on the color wheel, oranges and yellows vs blues and turquoises. I was very careful with the napkin I chose for this shot above. I tried several colors and ended up choosing a napkin in the same color family as the wood surface, just a darker version of it so that it didn’t distract at all from the slice of tart on the plate. Analogous colors are colors that sit next to each other on the color wheel, the same color family. In the image above we have all warm toned colors here, golds, yellows and creamy whites. To make the food stand out we put the muffins into a darker muffin tin. Now, let’s break this down into our food groups. Remember, in our food photos, the food is the most important thing in the shot so your eye should look at that first in your image – not your background or any props. When used incorrectly, color and props can be very distracting in the shot. This is about finding the right colors to make your food stand out and look beautiful. Here is an example of green foods with different backgrounds. The first shot has that blue/turquoise color again. Second shot is on a white plate that is on a very light yellow fabric going to white. White plates look great with a lot of foods. 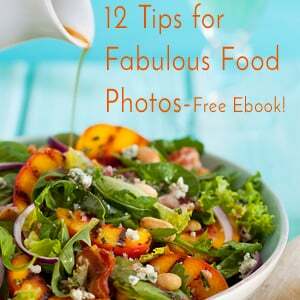 It can help frame your food against a color background and really make it stand out. The shot on the right is showing some greens in a wheat berry salad on a yellow background, again being framed by a white bowl. Green foods can look great on so many colors, both complimentary and analogous. Many food bloggers tell me they have such a hard time photographing meats. This really does come down to styling the meat. You really have to spend time making your steak or chop look perfect*. The other important thing is what colors you will be using in your shot. Meats are usually brown, which is a combination of colors. These browns have yellows and reds in them. You have to make sure your shot doesn’t look muddy and what ever colors you use, enhances the meat. In the shot above on the left we’re using a light pink/purple color on the fabric under our lamb chops. I love using purple and pinks with meats. It softens the shot a bit and makes the meat look very tasty. 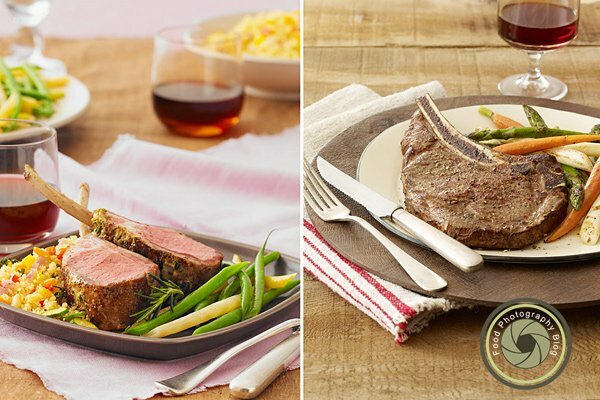 The shot on the right above is using a totally neutral, natural, earth toned color palette and framing the steak in a warm white so it stands out. Greens and blues also look great with meats. Earth tone colors really look great with meats too. Poultry can be a very light yellow color all the way to a yummy warm brown color if it’s roasted. The shot on the left has a nice warm, rusty, orange colored background which is analogous with both the chicken and the beef. When using yellows and oranges I always try to use earth tones. Same thing with green colors. The whole bird in the middle is on a very bright purple/magenta color. Experiment with fabrics. You will be very surprised at how nice a shot can look with certain colors. Though this isn’t earth toned, the pink color really brings out the golden color of the chicken. The golden raspberries in the yellow-green bowl are analogous colors as well that really relate to each other. The key with shooting foods that don’t have much color is your garnish, how you plate it, and your background color. In each shot above the food is being garnished with something that has color. The pasta on the left has parsley on top. The granola in the middle has bright fruit and so does the cereal. Darker bowls and plates are an interesting way to plate food that doesn’t have much color in it. 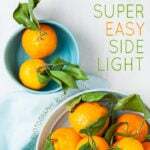 Bright Foods: Reds, Oranges, etc. 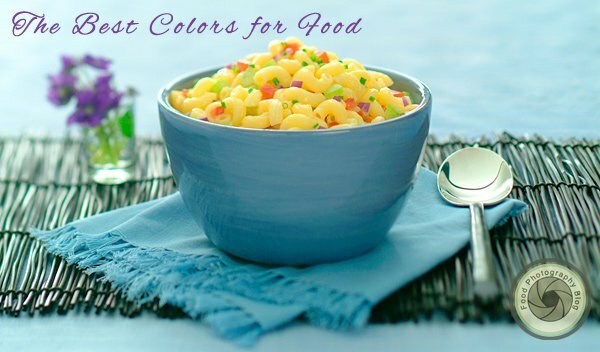 Bright foods will automatically get your eye’s attention so generally speaking, the best thing to do here is to use neutral colors with it to really make it stand out. 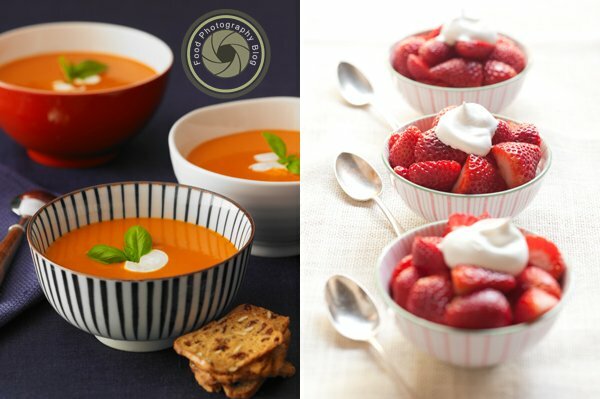 On the left we have tomato soup in white bowls on a dark navy blue fabric. The orange soup really pops. If you do add color to these kinds of shots, complementary colors work really well, like the green basil garnish on the soup, in small amounts so as to not compete with your main food. I don’t even like looking at this graphic. The colors are so harsh. I avoid using fabrics or backgrounds that are pure red, pure blue, and pure yellow, the Primary colors. I actually find bright yellow to be the hardest color to work with. It is much easier to use colors that are earth toned in most cases. The bright colors will cause other issues too. They can do what’s called color contamination with your food and your set. The color is so bright that it reflects that color into the food or props, or both, destroying the natural color the food had. This is very difficult to fix later. Something I need to mention here. Notice that most of the images have no patterns or designs on the plates. That can be very distracting and can take the viewer’s eye away from your food. Of course when it comes to color there are no real hard rules to this. Be open to trying some different things – just remember the goal is to make the food stand out and to look as great as you can make it. Who knew that my studio computer table from CB2, in flaming green, could look great as a surface? I’ve never used it since, but for this shot it worked out great. You also might be shocked at how pink can look in your shot. In my next post I will talk about how to work with fabrics. 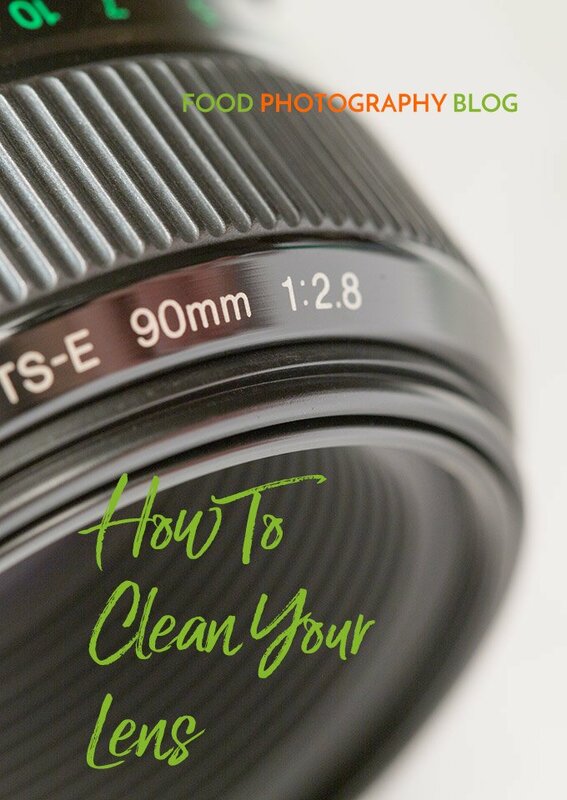 There’s some good tricks you need to know to make it easier on you. Fabrics can be a great way to bring color and texture into your shots for a very reasonable price. If you are local in the Los Angeles area, Amy Paliwoda is the owner of The Surface Library, where many of the props and surfaces you see here can be rented for your photo shoots. Disclosure: Denise Vivaldo is a very good friend of mine and we teach classes together. Should you choose to buy her book mentioned above I will receive a small commission. If you like this post, please share it on Facebook and sign up below so you don’t miss another post. Thanks so much for breaking this down in such a helpful way. The color wheel is so useful. And I love the examples. Can’t wait to explore more of your blog. Thanks Dana! See you at Camp Blogaway! I keep forgetting to use the color wheel when I photograph food. I tend to gravitate to white or dark wood backgrounds. 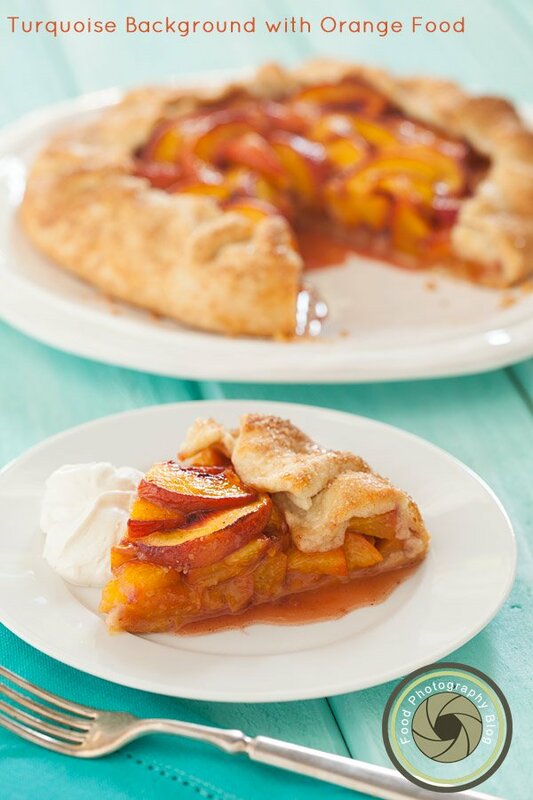 That peach tart on turquoise really turned my head! Thank you for your marvelous tips! Hi Laura!, I love wood backgrounds. I use them a lot for jobs and for portfolio shots. What’s hard is finding room to store everything! Glad you liked the post. Hi Giselle, Glad you like the blog. The tips I have for food packaging: always use a food stylist and if you aren’t excellent with prop styling, you need to hire a prop stylist. If there isn’t enough money in the budget to hire the people needed for the job – turn the job down! These days so many companies don’t want to spend any money on their photography so they will give us crazy budgets to work with. I turn ALL these jobs down. 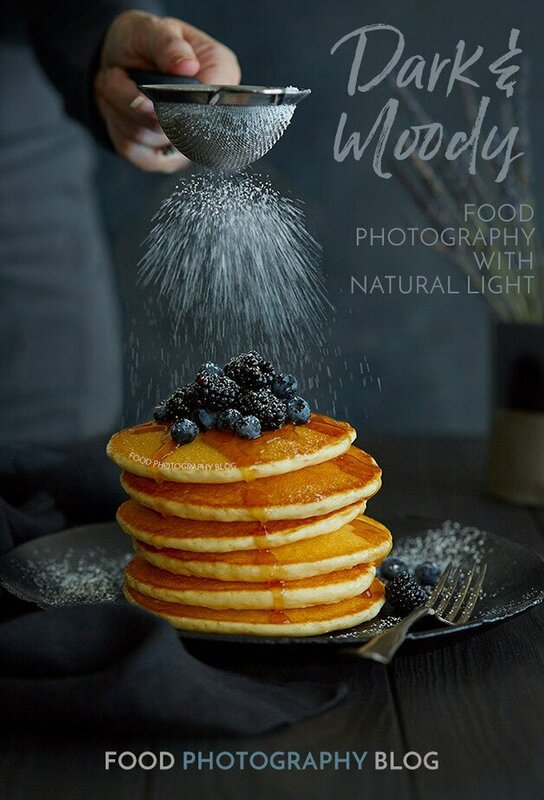 If the company doesn’t want to spend the money to get the job done right, it’s not worth my reputation as a food photographer to do their job and have the images look less than fantastic. 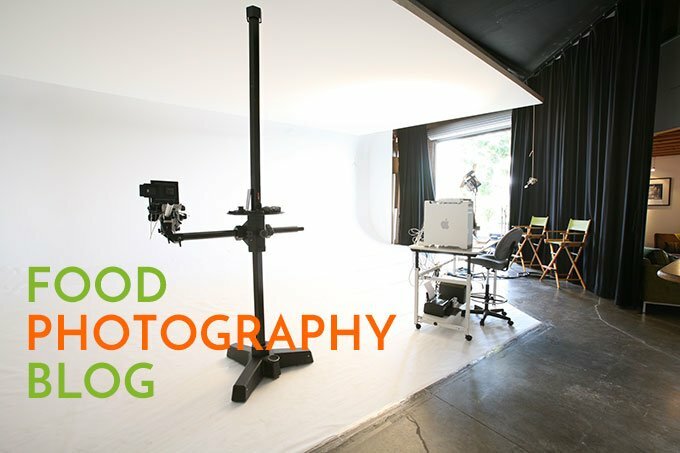 Unfortunately now with all those bloggers willing to shoot for free just to try out a product, or get traffic to their site, it has completely watered down a lot of the food photography jobs that used to be decent jobs. 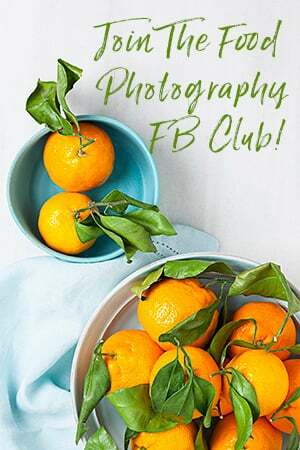 Hi Chirstina, I am so glad to have found your blog, I love love love food photography. 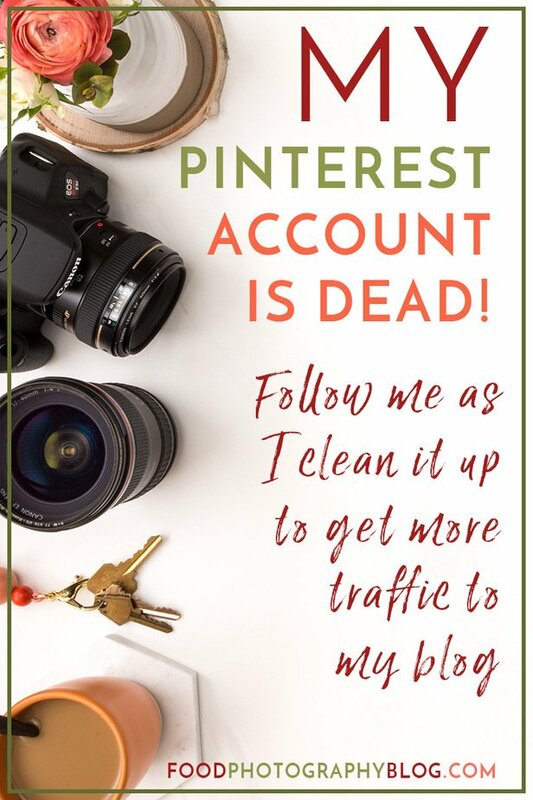 This particular post I’m sharing and bookmarking forever! I have some questions for you ( I searched on your site and I couldn’t find the answers). 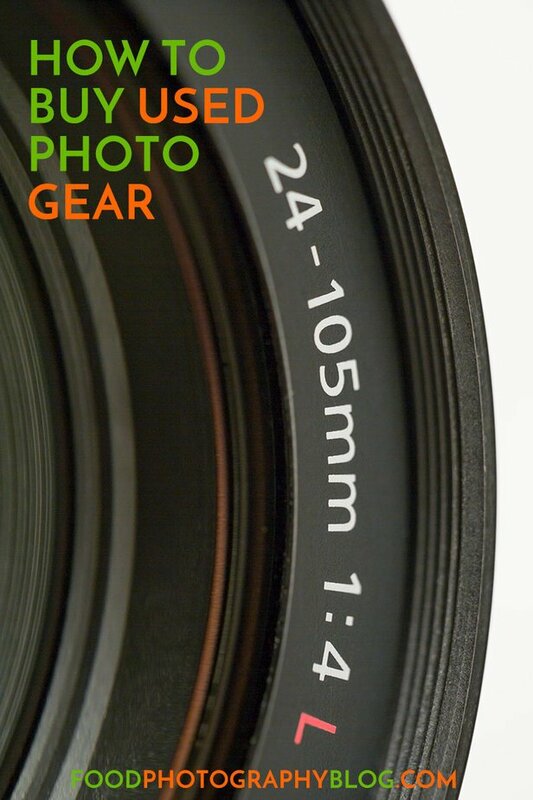 (1) Any suggestions on how to set up a camera setting? Do we need to shot in MANUAL? (2) Do you know why my photos turn out blue, yellow or red (shot at different times, same result) and how to fix it? 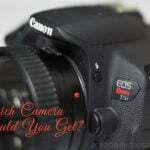 (3) Are you offering photography classes in SAN DIEGO? Hi Rika, There are lots of posts where I talk about how to set up your camera. Always shoot on a tripod, never shoot with ISO above 100, use a wide F-stop for shallow depth of field. 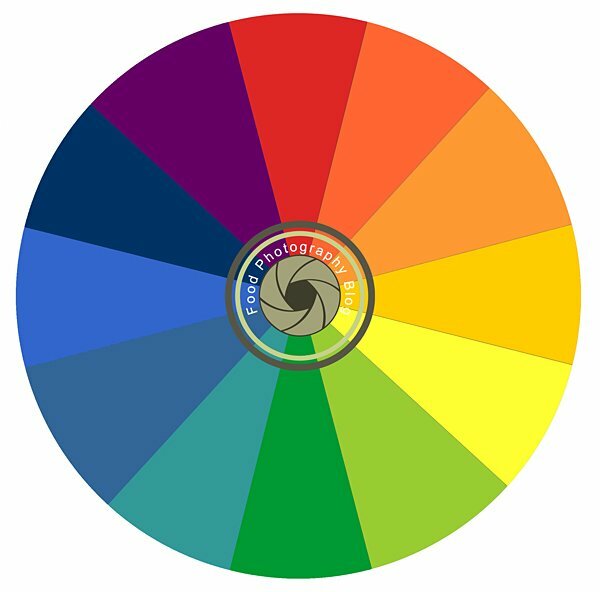 Your photos are turning out blue (or any other strange color) because your white balance is set incorrectly. If you don’t know what specific things are that I mentioned above, put that term in the search field to find all the posts related to it. Currently I am not doing classes in San Diego. I just found your blog today! Thank you so much for all of these great tips!!! Hi Sara! You’re very welcome. Thanks for reading. 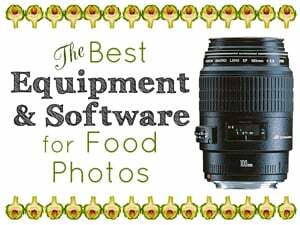 Wow such a useful article for someone like struggling with food photography! Thanks for the wonderful article! I have a food blog and have been told from a couple people that I need to change my black background to white. I’d love to hear your thoughts. I’m partial to black but have considered making the change even though I’ve never been one to conform. I look forward to your input. Hi Vicki, I just looked at your site. I’m afraid I agree with your friends. I find it extremely difficult to read white text on a black background. I can’t stand it personally and there are studies that talk about how it fatigues our eyes as well. I’m sorry to tell you that as I know it’s a totally different design from what you were thinking. If you do change things up, please comment again to show me as I’d love to see what you do. I’ve talked with my web designer at length this week and have given her a list of things to change, one of them being to make my background white. I just wanted to check with you since I came across your site today and you seemed like the ideal person to ask. Thank you for your prompt reply. Oh and I know my photos need to improve as well. I’m scheduled to take a workshop with Todd and Diane in October. You’re welcome! You’ll have to comment again when your blog is revamped. Students like Todd and Diane’s class so I’m sure you’ll have a blast. Very nice information on the color scheme. Hi Manish, not sure what you mean if no background is suitable, but if you don’t want a colored background you can use black, gray, or white. There’s a trend now for darker backgrounds in food. I can’t really list what foods look good on black – I suggest do a test shoot to see if the food you want to shoot looks nice on black or white. They will be very different but how you use the image will probably help you choose the background.